What do I need to know as a new patient? Before making an appointment to see Mr Edwards, you will need a referral letter from either a specialist or your GP. A referral from a GP will last for twelve months. A referral letter from a specialist will last for three months. When attending your appointment, please bring any scans and reports related to your condition. Your consultation may be postponed if you do not bring this information. Please arrive 10 minutes prior to your consultation time to ensure you have time to complete the required paperwork. What happens on operation day? On the day of your procedure please arrive promptly at the time you have been instructed. This will allow the hospital and nursing staff to admit you. There may be waiting time before your procedure so please be patient. • Please fast from the time instructed and take your normal medication with minimal water. • All aspirin and other blood thinning medication should be ceased 7 days prior to your procedure. • Please bring all xrays and other scans appropriate to your surgery. Will I see Mr Edwards before my operation? Mr Edwards will see you before your operation in the pre-operative area. What equipment do I need after surgery? You should organise crutches or a frame before your operation. A shower chair may also be useful. These can be obtained through places such as your local chemist, or may be arranged whilst you are an inpatient. Your leg will need to be elevated at all times in the initial post-operative period. You will need at least three pillows or a small beanbag. What is proper wound care? Rest in bed with the limb elevated to the level of your nose for 23 and three quarter hours a day until review. This will assist in wound healing, pain relief and minimise swelling. 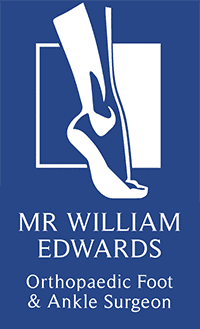 You will have a post operative appointment booked in Mr Edward’s rooms 7-10 days post surgery to assess the wound. Further rehabilitation and physiotherapy instructions will be given to you then. Swelling, sensitivity and numbness is normal for the first 2-6 months and can take up to two years to fully settle. How much time off work do I need? You will require at least two weeks off work. Depending on both your procedure and your occupation you may require up to three months off work. Do I receive a work certificate? You will receive a work certificate on the day of your operation. If you need any further certificates, please contact the rooms. You may not drive until after your first post-operative visit (7-10 days). 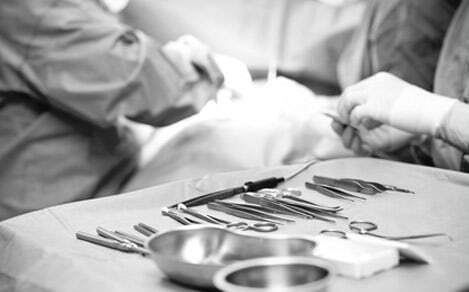 Dependent on your surgery, this time can range between 2 weeks and 3-4 months. Once your wounds have healed, you should be able to fly. However, keep in mind that you have an increased risk of developing deep vein thrombosis within the first three months of having surgery. Once your wounds have healed, low impact exercise can begin. You will usually have to wait 6-8 weeks for higher impact activities.